Working people should not be trapped in poverty. This was part of the social contract America made with its people 80 years ago in the New Deal. Workers will receive a minimum wage. It may not be enough to make you rich, but you will have enough to afford necessities for your family – food, housing, clothing, medical care. We are far from fulfilling that social contract. Economic hardship affects many: one of every three Minnesota children lives in a family struggling to make ends meet. One in 10 households has times when family members go hungry because there’s no money for food. There are working people who go “home” from their jobs to a homeless shelter at night. Many of these families feel they have been left behind, as others accumulate ever-greater wealth. Despite ample political rhetoric about “supporting the middle class,” neither party has had the courage to back initiatives to end poverty, even among working families. The public believes working people should not live in poverty. The only public opinion poll I have seen on the issue – an April 2000 poll conducted by Lake Snell Perry Associates for Jobs for the Future, based in Boston – showed a virtual consensus, with 94 percent of Americans agreeing, “As a country, we should make sure people who work full time are able to earn enough to keep their families out of poverty.” People understand that this is a matter of fairness. Back in 2007, Minnesota created a legislative commission to examine how we could end poverty by the year 2020. Our bipartisan commission recognized that justice for low-income workers means those workers need higher wages, some other means of paying for necessities or a combination of both. Since the Poverty Commission issued its final report in 2009, Minnesota has made little progress with the exception of last year’s increase in the minimum wage. With a public consensus that workers should not live in poverty, it is time we take action. I have introduced legislation, Senate File 890, to ensure workers can afford basic necessities by extending the phased-in increase in the minimum wage beyond $9.50 per hour in 2016. The legislation would add 75 cents per hour every year from 2017 through 2020, when it would reach $12.50/hour. Even at that wage level, some workers will not be able to pay for basic needs, so the legislation would more than double Minnesota’s Working Family Tax Credit – a credit designed to help working people make ends meet. The credit would jump to 120 percent of the federal Earned Income Tax Credit. A one-parent, one-child family earning about $23,000 would receive $3,000 from the Minnesota credit, a boost of about $2,000 per year. The bill increases access to affordable child care, eliminating the 7,000-family waiting list for our Child Care Assistance Program and substantially increasing the payments so low-income parents have a better choice of providers – and so child-care providers get decent compensation. To help create jobs, my proposal reestablishes the Minnesota Emergency Employment Development program, a simple but highly effective initiative to assist small businesses in hiring the unemployed. Created during a recession 30 years ago, MEED has been described as the most effective job creation program in any state in the last half century. Although this particular bill does not address health care needs, in conjunction with proposed universal health care legislation, it would help lift all workers and their families out of poverty. The Worker Dignity Bill is not a radical approach, but let’s talk real politics. It is not likely to pass because it would require both businesses and government to do more. In politics rhetoric about supporting workers is easier than action, especially when the idea of a living wage for all workers is considered unrealistic. That must change. The current reality, where some hardworking people can’t afford food or housing, is not acceptable. This is a matter of justice. And with nine of every 10 people supporting wage justice, it is a fight we can win. 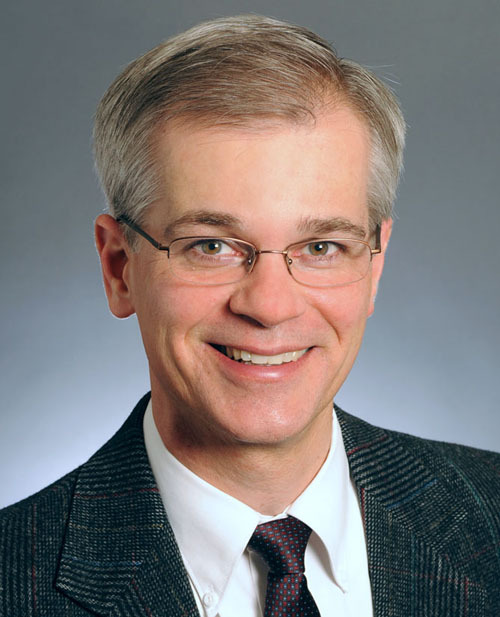 – John Marty represents Minnesota Senate District 66, which includes parts of St. Paul, Roseville, Lauderdale and Falcon Heights.